UPDATE: July 6, 2018: The Smart Columbus Experience Center in Columbus, OH opened to the public on June 30 with a block party and ribbon-cutting ceremony. The center allows visitors to explore new transportation options, including autonomous vehicles (AVs) and electric vehicles (EVs), as well as technology demonstrations. It will also serve as a place for Columbus to share lessons and best practices with other cities and technology leaders. 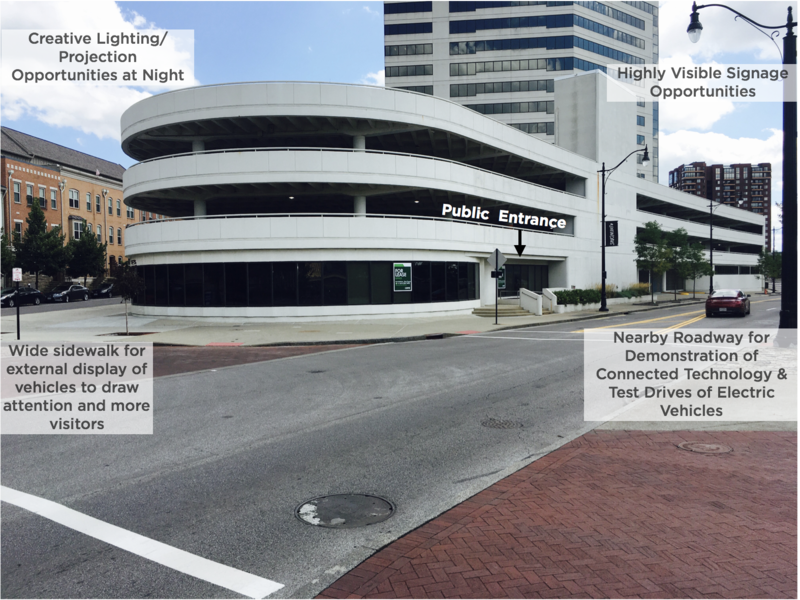 The City of Columbus, OH will open a Smart Columbus Experience Center to the public in the city's downtown this summer to engage residents and teach them about how the city is innovating, according to a press release from Smart Columbus. Visitors will be able to learn about Smart Columbus projects in the education center's 3,000-square foot showroom showcasing transportation and sustainability technologies, as well as interactive exhibits. They will also be able to see and take a test drive in new electric vehicles. Funding for the $1 million construction and equipment costs will come from the city's $10 million Paul G. Allen Philanthropies grant, which accompanied its $40 million Smart Cities Challenge DOT grant. Cities often prioritize innovation but then experience difficulty getting the public to accept or use new technologies or services. Education therefore plays a major role in helping citizens understand and get on board with municipal projects. By educating people as projects progress, Columbus could have a smoother transition with many of its Smart Columbus initiatives. "We’ll show how new shared mobility options, as well as connected, autonomous, shared and electric vehicles, will make Columbus a more vibrant, more connected community. It will serve as a space where we can innovate and learn from each other and provide a platform for planning a future of shared mobility and prosperity," said Columbus Mayor Andrew J. Ginther in a statement. This center comes at a good time, considering the city's aggressive push toward developing a smarter city, mainly driven by its DOT challenge grant. Though its plans have shifted since receiving the grant, Columbus is making notable progress in rolling out long-term initiatives, and most recently issued an RFP for a Smart Columbus Operating System (SCOS) to capture transportation data. Additionally, displaying electric vehicles and teaching residents about them could inspire some residents to consider purchasing one instead of a gas-fueled vehicle. That's in line with the consumer adoption goal in the Smart Columbus Electrification Plan, along with goals to electrify fleet vehicles and add EV charging infrastructure.